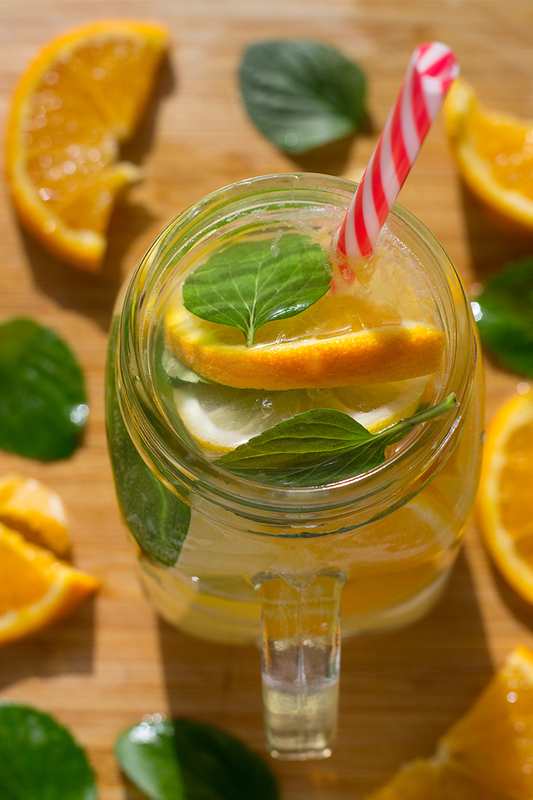 Lemon Orange Mint Ginger Lemonade: a taste of summer! All over Europe we are enjoying summer with some crazy high temperatures this year! On Poros we cool off every day by swimming in the turquoise-blue sea in front of Odyssey. Looking for a refreshing and at the same time healthy drink, I put something together that I would like to share with you: Odyssey’s Lemon Orange Mint Ginger Lemonade! 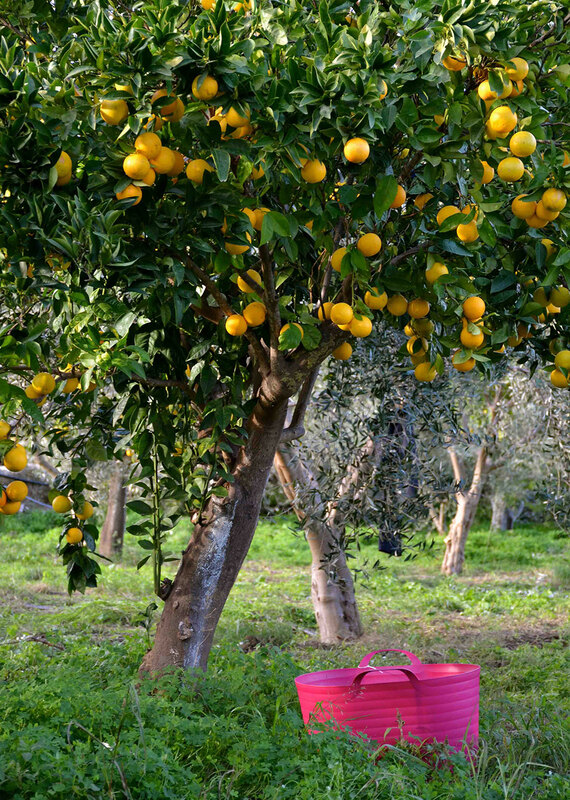 I have written many times about the health benefits of the lemon, which grows so abundantly on Poros. Oranges were the symbol of productivity and a happy married life in ancient years, and were a present from Gaia (Goddess of nature) to Hera and Zeus on their wedding day. Although their married life was far from our idea of “happily ever after” – with Zeus following practically all the beautiful young goddesses, nymphs or commoners and Hera becoming crazy from jealousy – that was not the fault of their wedding gift, the oranges. Oranges are like lemons; very helpful in keeping you healthy, and we feel blessed to have many of them on Poros. The antioxidant vitamin C helps with the minor skin problems that may be caused by the sun and pollution, reduces wrinkles and improves overall skin tone (that is why all Greek Goddesses are painted with a lot of oranges and fruits around them). Oranges keep our hearts healthy, but they don’t protect us from sad lovers though, like Zeus. Mint has one of the highest antioxidant concentrations of any food. At Odyssey we grow and use mint on almost everything. 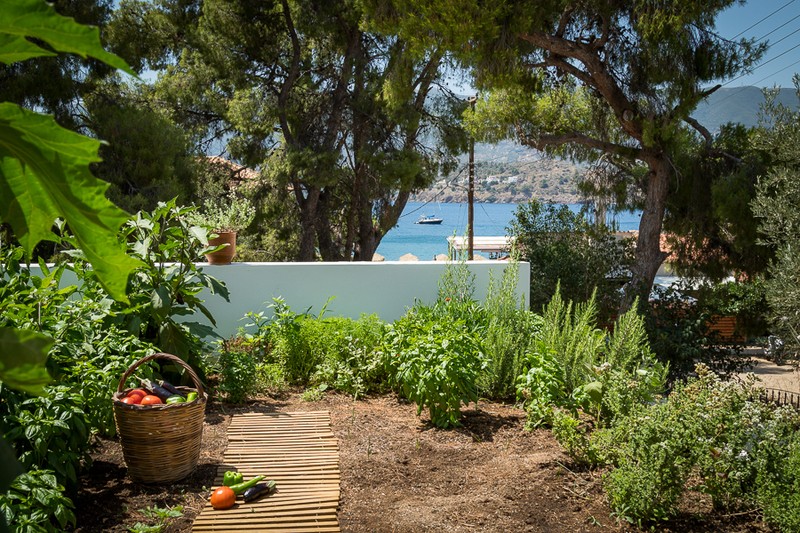 Our guests will remember the fine smell and taste of the fresh mint in their food and in our garden. Typical for traditional Greek cooking is the use of a lot of fresh herbs such as mint, to add flavour that can also help give a lot of natural taste to our cooking, that we need to add less salt. Ginger improves blood circulation and is therefore ideal for people with heart problems. It has anti-inflammatory properties, making it a home remedy for muscle and joint problems and most important of all, with its peppery taste, is a fantastic addition to our drink. All these wonderful and healthy ingredients combined in one drink makes this lemonade a real joy. 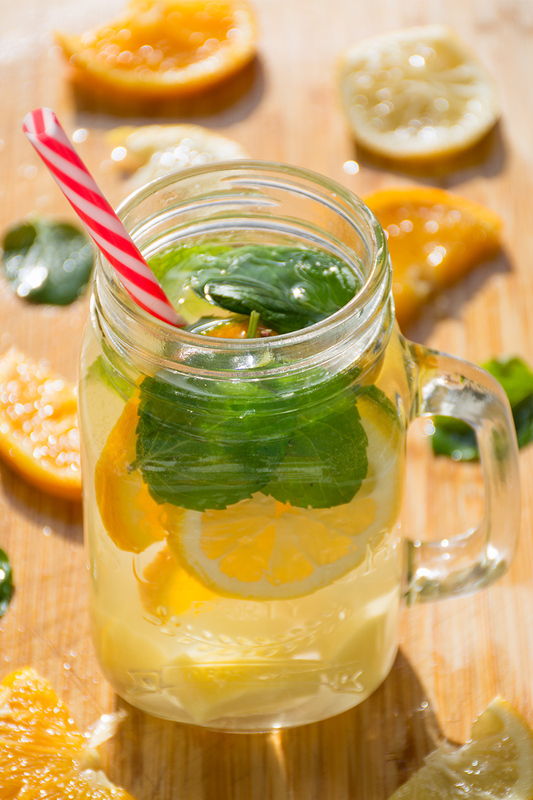 Have fun making this lemon orange mint ginger lemonade and let’s toast to summer! Do you want to cook with Katerina at Odyssey? 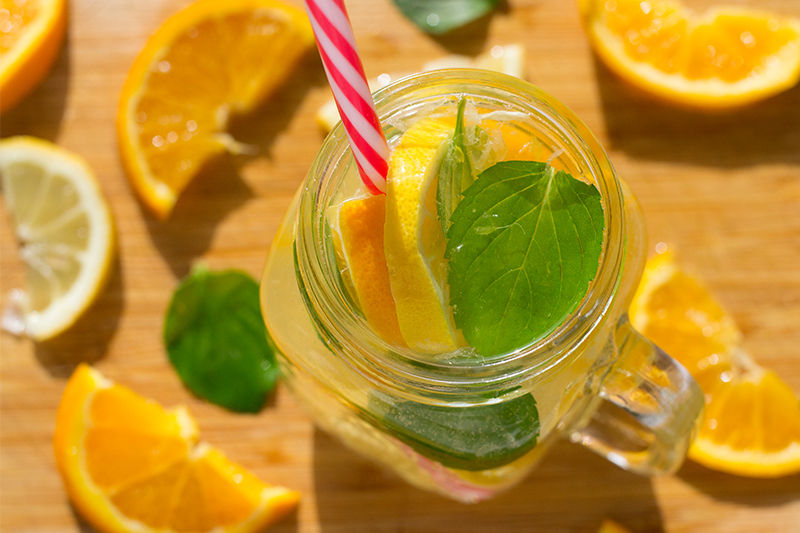 Add the lemon, orange, ginger and mint to a glass of cold, fresh water and let it stand for 3 minutes. Stir and it’s ready!